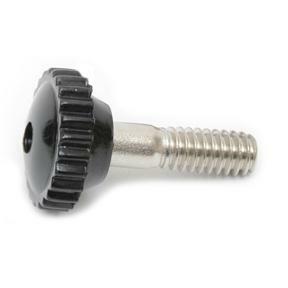 1/4" Thumb Screw - Black with a nylon head and stainless steel screw. This Thumb Screw works with all our marine Deck and Side Mount Hinges. Size: 1/4" - 20 X 7/8"